The Kingdom of Cambodia has one of the most complex gambling laws out there. Locals are not allowed to operate casinos and gamble in one. The country, however, has more than 50 land-based casinos open for foreigners only. This proliferation of casinos in the country is secondary to the stricter gambling laws set forth by its neighbouring countries. Thailand, Vietnam, and Laos, like Cambodia, do not allow their citizens to gamble as well. To gain tax revenues, the Kingdom issued licences to foreign investors. Are There Any Legal Forms of Betting in Cambodia? As mentioned, the legality of gambling in Cambodia depends on citizenship. It is illegal for locals but legal for foreigners including tourists and expats. Individuals can only enter a casino or betting facility if they show proof of international citizenship. This ruling has a loophole that some urban Cambodians take advantage of. Many of them have dual citizenships and only needs to show their foreign passport and they can already enter the premises. For foreigners, every type of casino game is legal for play in Cambodia, including sports betting. Is Sports Betting Illegal in Cambodia? For locals, yes. Still, it is enjoyed by most. Gambling is somewhat ingrained in the tradition of Asians, even Cambodians. Most Cambodians enjoy taking a chance on cockfights, boat racing, and football games. The downside is the lack of betting opportunities as many of casinos in Cambodia do not offer sports betting to their clientele. Some avid punters turn to online sports betting. Also illegal for locals, a number of international sports betting websites cater to players from Cambodia. Are There Online Sports Betting Sites for Cambodian Players? The regulation of gambling in Cambodia has given rise to a number of illegal gamblers. There are, however, safer and better options for avid punters. Online sports betting is one of them. Asian betting companies understand the need of expats in Cambodia for sports betting agents. Thus, the employment of physical agents across the country. Many online sports book have local agents that go around collecting bets weekly. These agents are able to round up as much as $40,000 in profit, with as much as 30% in commission. Gamblers can choose to sign up with an Asian bookie who specializes in Asian handicap football betting. These websites also have an available translation to Khmer language to attract more Cambodian players. Expats will have no issue with these Asian bookies as all have English as one of their languages. Other languages available include Chinese, Vietnamese, French, and Russian. Since Cambodian Riel is not widely popular, it would be quite hard to find an online bookie that would accept the currency. Foreigners can instead use dollars and euros. Majority of these online facilities also accept credit betting. 12bet is one of the leading sports bookies available for Cambodian gamblers. Relatively new in the industry, this online sports betting site has gained quite a huge following already thanks to their sponsorship of major European football clubs like Newcastle United and Wigan Athletic in the Premier League and Sevilla Football Club of the Spanish La Liga. One of the highlights of 18bet is the possibility of monitoring multiple live sports events simultaneously. Punters can bet on a wide variety of games with great betting odds. 188bet is one of the popular online sports book for Cambodians that the site is even available in Khmer language. Its generous bonuses and promotions have made it a favourite among locals. Bodog88 is among the longest running online sports book that caters mainly to Asian players. Founded in 2009, the online bookie targets mainly Chinese speaking markets such as Thailand, China, and Malaysia. Aside from sports betting, the site also has casino games and poker games. Dafabet is among the trusted and most reliable online sports book for Asia. Based in the Philippines, the online site that has one of the best odds. Cambodian players can also choose to sign up with European bookies, particularly if they want to take advantage of more major leagues to bet on. Although, these European bookies are also popular among Asian punters because of the high limit, high turnover, and low margin setting. European sports booking operators include Betfair, Betfred, Betsson, Bwin, Ladbrokes, Paddy Power, Racebets, and Pinnacle Sports. Another great thing about these online sports books is the inclusion of major currencies as the mode of betting. US Dollars, Euros, and Pounds Sterling are all accepted deposit options. Both debit and credit cards with Maestro and MasterCard logos are also accepted. Those who do not want the government to track their payments to gambling sites can use e-wallets. Some of the accepted are Paypal, Skrill, and Neteller. For Asian bookies, punters can do local bank transfer without exchange fees. What are the Sports are Popular to Bet on in Cambodia? Football remains as the popular sport to bet on in Cambodia. It is, in fact, one of the highest income generating gambling activity in the kingdom. The country’s football team currently ranks 201 in FIFA’s world rankings. Cambodia’s professional league, Metfone C-League, is composed of 12 teams. Despite increasing investments by the country, many Cambodian punters bet heavily on European football, mainly the English Premier League. Asian bookmakers also target England’s football league as their most lucrative gambling market. The league has a wide television reach, allowing locals to have an in-depth understanding of the English teams. Another popular sport to bet on in Cambodia is Sepak Takraw. The game, which has some parallelism with volleyball, dates back to the 15th century. Also known as kick-volleyball, Sepak Takraw is an outdoor game that attracts a lot of spectators that eventually turn into punters. The game is quite popular among punters because the odds are good. Since the games rely heavily on the skills of the players, they have a better chance of choosing the possible winning team because they can check the track record of the players. Cambodian also discreetly bet on this game heavily. One of Cambodia’s national sport, Kun Khmer, shares some similarities with Muay Thai. A Kun Khmer competition is regularly held every weekend. A number of expats find the sport worthy to bet on. Dragon boat racing is also a big hit among Cambodians and expats and is often the focus of significant betting pools. Cambodia does not have any horse race track or greyhound racing track. Although, plans of building one have been in the pipeline for quite some time now. Locals are quite fond of betting on human power when it comes to sports betting. This could be the reason why animal races such as horse and greyhound racing do not gain much traction in the country’s gambling market. What is the Future of Sports Betting in Cambodia? The blanket ban on gambling in Cambodia has forced some of its locals to turn to illegal casino operators or bookies for their gaming needs. Since these illegal operators do not have to take the burden of paying tax revenues, they have more freedom to give better odds than most land-based casinos in the country today. Since they have a higher chance of taking home more money, even expats deal with illegal casinos and bookies. Arrests have been made but most of the police officers are guilty of turning a blind eye to these activities in exchange for a minimal fee. Cambodia has a strong betting culture and reforming their gambling laws will be highly beneficial to the country. Foreign investments will continue to pour in the country if Cambodians will be allowed to freely exercise their betting power. Online bookies, while still unregulated and illegal in the country, continue to accept Cambodian punters to sign up. Offshore sites with international licences are often beyond the reach of the Cambodian law enforcement. The main thing they can do is to block known gambling sites. But this can also be unsuccessful because most online bookies have a great number of local agents roaming around. 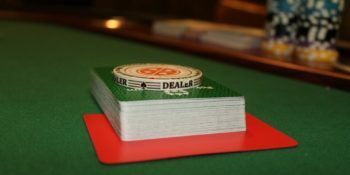 They can discreetly take bets in cash (without any paper trail) and deposit winnings in the player’s local bank account without raising suspicion that the money came from illegal gambling. Curbing this practice will take an iron fist. Although there have been arrests in the past, many individuals still choose to become local agents because of the enticing commission rates. In the future, gambling will remain a lucrative business in Cambodia. With the birth of online casinos and its continuous proliferation and easy accessibility will only attract more Cambodians gamblers whatever the local authorities do to curb it.